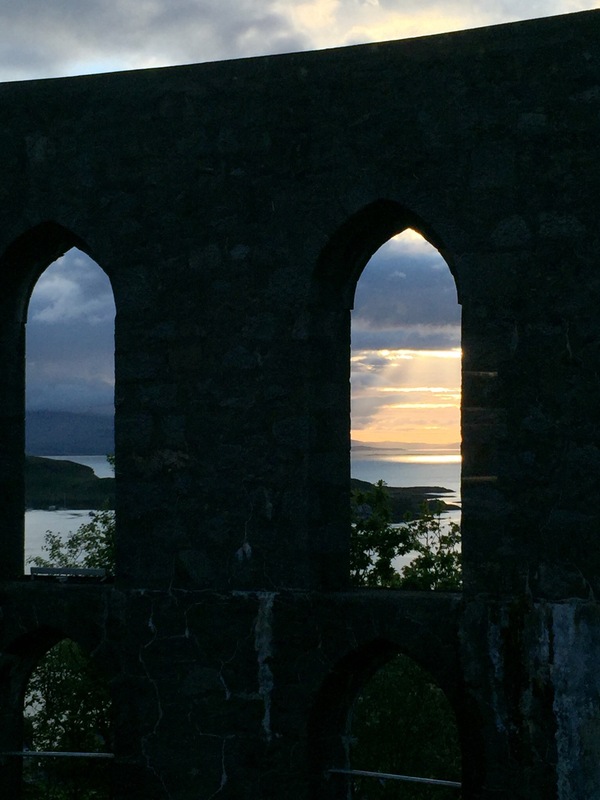 Overlooking this seaside town is McCaig Tower. It’s the best place to watch the sunset in my opinion. 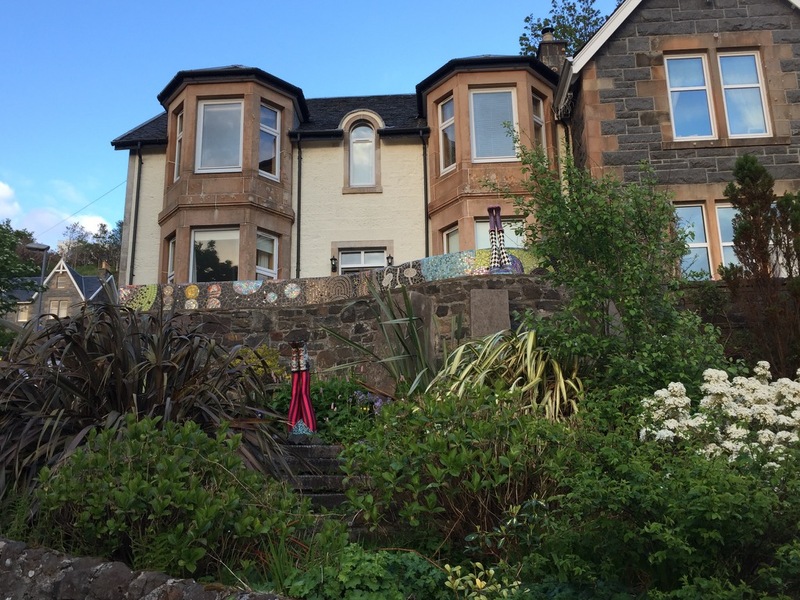 There’s a creative garden on the way up as well. 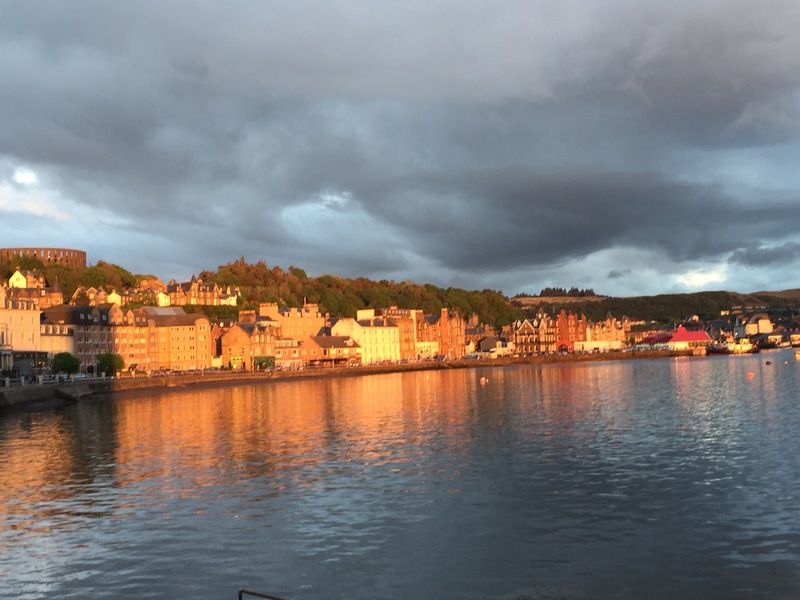 Next whiskey stop – Oban. This was our first distillery tour. 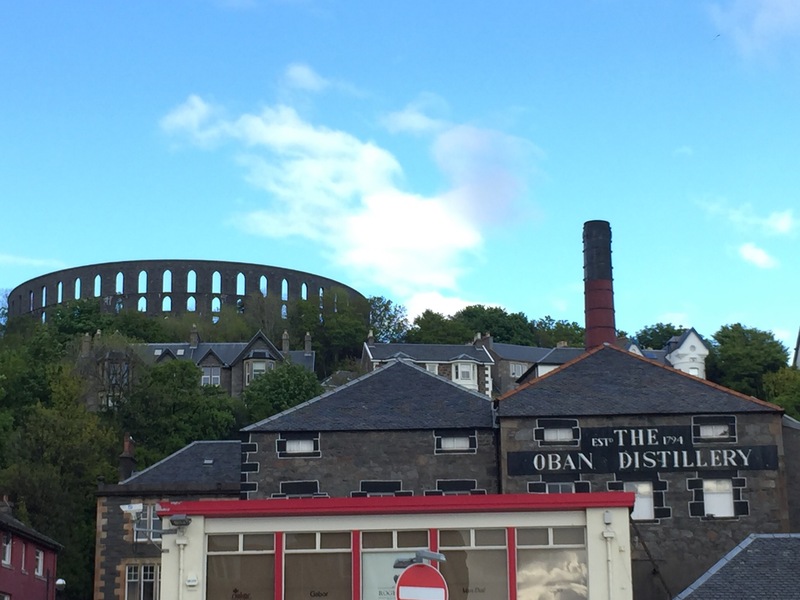 The Oban distillery is one of the oldest (1794) and smallest due to its inability to expand because of the cliff behind it. 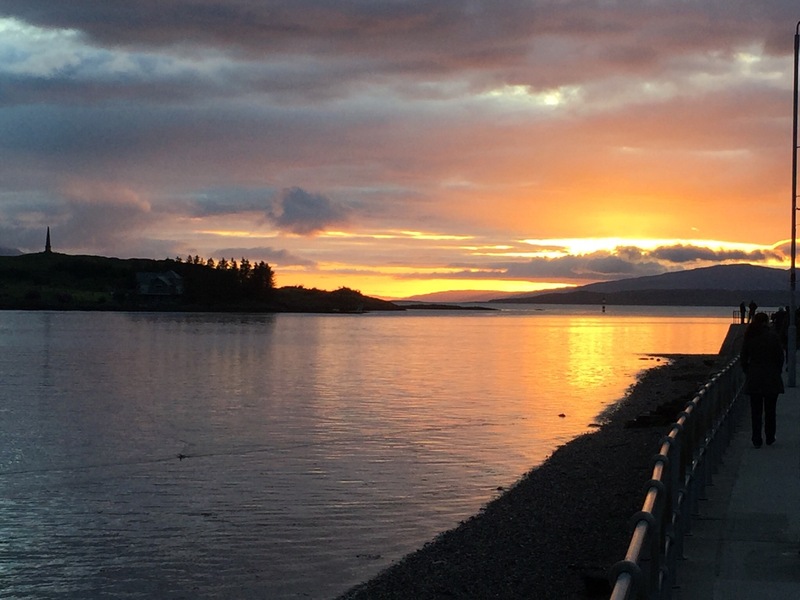 This entry was posted in Uncategorized and tagged distillery, Oban, Scotland, Whiskey on June 19, 2016 by kermit206.